It is no longer entertaining for the “Hailers” – President Muhammadu Buhari’s fans. They are fast taking over the “wailing business” from the “original wailers” – those who never believed from day one that Buhari had the wherewithal to preside over the affairs of Nigeria. A good narrative of the political activities of Buhari’s fans and supporters before the 2015 presidential election and at the early stage of his government, show that many of them built their campaign on change, hope and optimism with a supposed man of integrity, General Buhari, as a rallying point for the untelevised political revolution, which led to APC dislodging PDP in the 2016 presidential election. Indeed, they were hopeful and optimistic that their country would be free at last from the somewhat shameful administration of the country’s political affairs for 16 years by an allegedly corrupt PDP-led government. But many critical political thinkers believe that what in fact secured victory for Buhari and his party was anger and frustration of the people, against former President Goodluck Jonathan and not the PDP per se. And it appears many of the APC members and the cult-like followers of Buhari have since realised that. It is truly the anger against the inability of then government to stop the deadly activities of the terrorist group, Boko Haram; anger against poor governance by supposed “clueless” Jonathan; anger against the PDP, and for power shift from the south to the north. For many broad-minded political experts, this is what later translated into votes to reject the PDP during the 2015 presidential election, and APC/Buhari won, not on account of their vague change, which was never out forward for debate but change in the person behind the table of the president. However, going by the wailing of Buhari’s fast-depleting followership, it appears they did not actually know the President they voted for during the 2015 presidential election. They might have fallen for the staggering propaganda of the APC, domiciled in Lagos State before the election. But now, the bubble has kaput: Buhari is believed to lack political and moral integrity as unfolding events have shown in the past 365 days. For political science experts, integrity is important for politicians because they are “chosen, appointed, or elected to serve” the society, and in order to be able to serve, they postulate that politicians are given power in their positions to make, execute or control policy. In many of his political essays, Aristotle said because rulers have power, they would be tempted to use it for personal gain, adding: it is important that politicians withstand this temptation and that requires integrity. Those who have closely monitored Buhari in the past one year are of the opinion that the president has disappointingly failed the simple test of integrity – knowledge and compliance with both the letter and the spirit of the written and unwritten rules that govern Nigeria. These political experts said the president has not acted dependably, not only with what is generally accepted as moral – what many Nigerians, especially his followers, think but primarily with what is ethical – what Buhari should do based on even-handed advices. Truly so, nothing has earnestly challenged Buhari’s perceived integrity than the issue of his educational qualification he claimed to possess, his real age, and the rising nepotism in federal appointments under the president’s watch. Many questions abound about Buhari’s integrity, which currently cast doubt not only on his intentions since he took over the affairs of the country, but also on the source of those intentions – his personal character. Imagine this: when President Buhari was recently asked by a court of law to show proof of his mere secondary school certificate, he elected to hire the services of nearly 23 Senior Advocates of Nigeria (SANs) to appeal the ruling of Justice Adeniyi Ademola-led Federal High Court in Abuja. 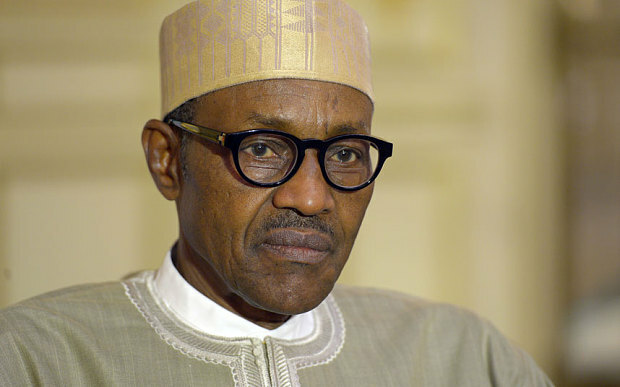 The court had on May 26, 2016 dismissed Buhari’s preliminary objection in a suit filed by an Abuja-based legal practitioner, Mr. Nnamdi Nwokocha-Ahaaiwe, who had alleged that the President was not qualified to aspire to his present job because he did not sit for the Cambridge West African School Certificate WASC) in 1961 as he claimed. When the suit came up on May 26, Buhari in his preliminary objection challenged the mode of service of the originating summons on him, insisting that he ought to have been served at an address in Kaduna State instead of by substituted means at the national secretariat of the All Progressives Congress (APC), Abuja. But Justice Ademola, in his ruling, held that it was incompetent and upheld the service of the originating court processes on Buhari. The judge held that the service of the court’s processes on the president through the secretariat of the APC was proper. The court was satisfied that if it was served on a senior officer of the APC at the national headquarters, it would be brought to Buhari’s attention. Perhaps, it was a messy issue that Buhari didn’t want to drag on in the court. Dissatisfied with the ruling, Buhari through his legal team, filed a notice of appeal at the Court of Appeal, Abuja Judicial Division on seven grounds. The president’s legal team, which endorsed the notice of appeal, was led by Chief Wole Olanipekun (SAN). Others are Mr. Lateef O. Fagbemi (SAN), Chief Akin Olujinmi (SAN), Oluwarotimi O. Akeredolu (SAN), Kola Awodein (SAN), Prof. Taiwo Osipitan (SAN), Charles Edosomwan (SAN), Emeka Ngige (SAN), Femi Atoyebi (SAN), Femi Falana (SAN), Funke Aboyade (SAN), H.O. Afolabi (SAN), Muiz Banire (SAN), and 10 other counsel. Shocked by Buhari’s action, some Nigerians, who reacted to the president’s disreputable certificate scandal, had questioned the president’s real intention, wondering why he needs nearly 23 legal heavy weights to argue against presenting his mere certificate if it really exists. Others wondered how long it takes to present a mere certificate and the debate over Buhari’s approach to this is raging on the social media. For one of the Hailers, Mr. Kayode Oduoye, certificate is useless. According to him, the President might not have a certificate but he has ideas and is brave enough to tackle the challenges facing the country. “If Buhari does not possess a WAEC certificate but can bring to book all the looters of the country, then certificate is useless. It is the idea that rules the world not certificate,” he said. Enter the trending discourse on the president’s age. What exactly is Buhari’s real age? That is another growing, disappointing but trending discuss among Nigerians right now, especially on the social media. The storm started, when Buhari declared his intention to run for president in 2015. Before the presidential election, many people, including members of his party had strongly canvassed that the ageing Buhari would not be able to govern a very complex country, like Nigeria. But not for the ex-Army General, who had declared that his age would not affect the challenge of his office. Many of his followers had doggedly argued that Buhari had “the wisdom, patience, and temperance” that age brings and would bring all these virtues to the presidency to make a difference in the life of the nation. But hard as the President’s spin-doctors try to suppress the questions about Buhari’s real age, it continues to pop up. From his official profile, the President is believed to be 73 years of age, but the recent visit of President Buhari’s 1953 classmates to the Aso Villa, has opened seemingly reprehensible discussion about his real age – another vexed issue many think challenges the integrity of the once revered Army General. The argument is this: this is 2016, and from 1953 to 2016 is 63 years. Many of the wailers, who have consistently made it their duty to calculate the president’s real age recently asked “if Buhari was 10 years when he finished his secondary education? They have also asked if the Daura born President had lied about his real age. For instance, at the eve of the President’s 73rd birthday, former President Olusegun Obasanjo came to felicitate with Buhari. In what many described as “Freudian slip, the very playful former President was said to have wished Buhari happy 78th birthday. But this, many believed further tuned the conjectures surrounding President Buhari’s real age. The question then was: could it be that Obasanjo knows what the average Nigerian does not know about Buhari, or is it that his memory is failing him? The growing preferential treatment for a section of the country – the north – by the obviously ethnocentric president, is another issue that has also challenged the uprightness of Buhari even though many Nigerians, who know the political trajectory of the president said they were not shocked about his “narrow-mindedness”, when it comes to politics. Accusing his tribesman of nepotism, a political scholar and seasoned northern politician, Dr. Junaid Mohammed, recently hauled up Buhari of surrounding himself with his relatives, those he claimed were dictating policies in Aso Villa for 170 million Nigerians. To prove his point, Mohammed, a radical politician and Second Republic lawmaker, named at least seven relatives of the president, who are holding on to power in the Villa with iron-fist such as the heads of all vital security agencies like the Department of State Security (DSS), Nigeria Police Force, Nigerian Security and Civil Defence Corps (NSCDC), Nigerian Customs Services (NCS), Nigerian Immigration Services (NIS), Chief of Defence Intelligence, Economic and Financial Crimes Commission (EFCC), National Security Adviser (NSA), Chief of Army Staff, Ministry of Interior and others, who are from the northern part of the country. “Both the President (Buhari), particularly, his principal adviser, his nephew, one nonentity called Mamman Daura, then the Chief of Staff (Abba Kyari), who in fact was brought up by Mamman Daura and the scoundrel, who is the Secretary to the Government of Federation (Babachir David), including most of the incompetent ministers are not cut out to work harmoniously in a political environment with the legislature,” Mohammed stated. A virulent critic of former President Goodluck Jonathan, and originally, a supporter of Buhari, Mohammed said nepotism had compromised Buhari’s ability to rule the country well, fight corruption, and deal with rogue lawmakers, who pose a threat to his administration. Mohammed advised President Buhari to apply the law of equity and justice in his fight against corruption and insurgents. “He has to do that, and listen more to Nigerians, and not this arrogant posture, and the crooks he appointed into cabinet. But unfortunately, for the country and for Buhari’s legacy himself, he has packed the government, and especially the presidency, which is really the centre of power, and made it top heavy with his own relations,” the social critic added. He said many of Buhari’s cousins are in the presidency, saying in his own understanding of history and politics, no president, who is against corruption, can as well be encouraging nepotism in a pluralistic country like Nigeria. More revelations by Mohammed also showed that Colonel Lawan Abubakar, the Aide de Camp (ADC) to Buhari is married to the granddaughter of Buhari’s elder sister. He said the President’s disdain for geo-political spread and religious diversity in his appointments is so stark as to constitute a scandal. “As far as appointments go, it’s as if the man (Buhari) believes that Nigeria is reducible to one half of its geography, the north, and one major religion, Islam. As a presidential candidate, Mr. Buhari was frequently characterised as a man given to excessive clannishness. Some critics alleged that his fealty to the northern half of Nigeria and partiality to fellow adherents of the Islamic faith trumped his belief in Nigeria and commitment to treat people of other faiths with fairness,” Professor Ndibe stated. He said Buhari’s personal decisions as president suggest a man, whose mind-set is as sectional as his political instincts, adding that in one year as president, his appointments have deeply disappointed the expectations of equity. “He has operated as if unaware of the longstanding requirement that important political appointments ought to reflect the country’s federal character,” the professor of Political Science stated. A senior appointee of Buhari, who is from the Niger Delta region, recently defended the president’s choices of political appointees, rejecting claims that the appointments were lopsided in favour of the north. The Senior Special Assistant to the President on National Assembly Matters, Ita Enang, who spoke at a reception organised by the Akwa-Cross Association in the public service in Abuja recently, said the President had been very kind to the South-south, particularly Akwa Ibom and Cross Rivers States. He said the region had been given sensitive positions. Enang, an aggrieved former member of PDP and ex-senator, said Buhari, despite his tight schedule, went to Cross River State to inaugurate the construction of a super highway from Cross River to Benue State and provided N6 billion to dualise the road from Calabar to Itu, en route Ikot Ekpene, to Aba in Abia State. As the issue of Buhari’s lopsided appointments in the federal government continues to generate heated debate, many political thinkers say the President has taken the country back to ethno-religious politics, which has sharply divided the people along the many fault lines.